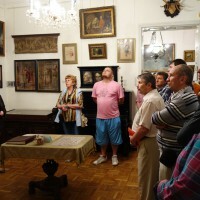 The project framework has provided an opportunity to implement a comprehensive approach to the creation of a regional cultural landscape and proper conditions for revitalisation of the heritage sites, which are situated farther away from the town of Kherson, which is the regional administrative centre, and, therefore, are in a critical condition. 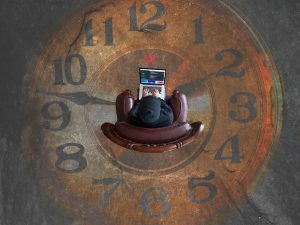 The authorities lack vision as to how they can be revived and filled with a new functional and axiological content, while the local residents have lost interest in them. We have deliberately chosen “difficult” facilities, which, in case of a further passive stance on behalf of the local community and authorities, might be destroyed in the nearest future. 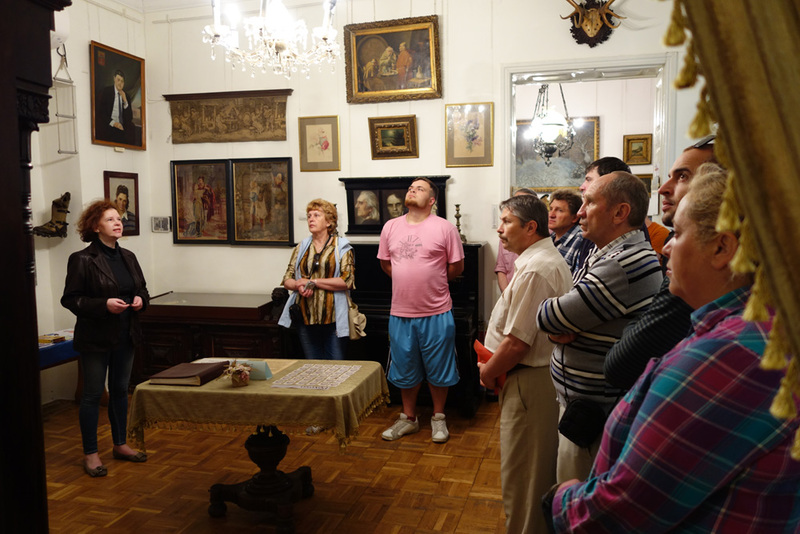 The objective behind the project was to draw attention to them, to form a team of like-minded persons, to identify the ways to saving and developing these historic and cultural heritage sites and to include their revitalisation in the regional development plans. The emphasis was made on reviving the site-related legends and on energising the local community: researchers, local historians and the public at large. 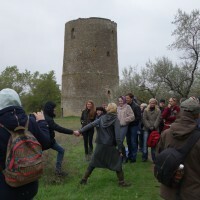 – Watchtower (Vesele Village, Berislav District), also known as the Lithuanian Tower or Vitaut’s Tower. 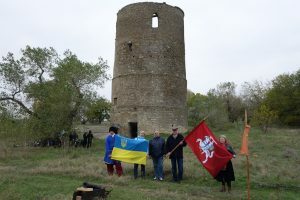 The donjon tower represents the only fortification structure of the type dating back to the times Great Duke Lithuanian Vitaut, which has been preserved in Ukraine till this very day. The tower is facing a threat of destruction due to the plans to build phase 2 of the Kakhovka hydroelectric power plant: the tower gets in the way of the construction project. 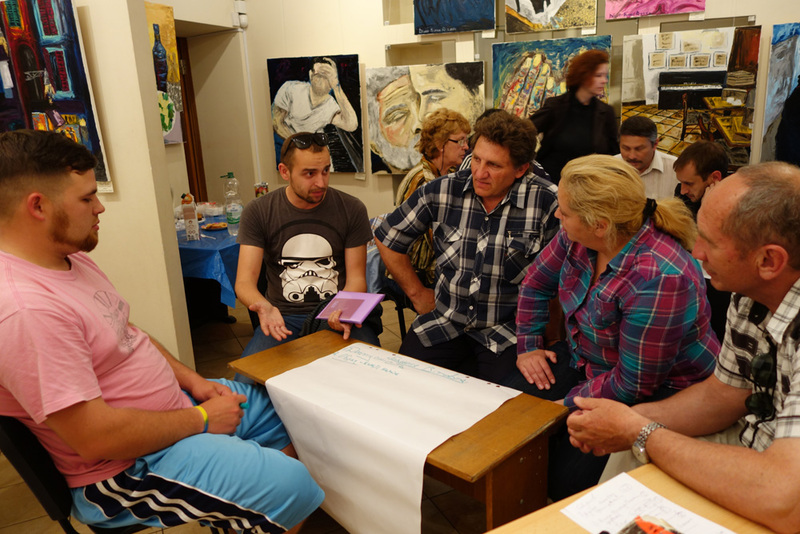 As a result, the project has provided a basis for three full-fledged advocacy campaigns. With regard to each site, a site-specific strategy has been developed and implemented, which fact has led to local community energising and rallying efforts aimed at their conservation and revitalisation. Modern artists have been instrumental in creating an attractive atmosphere, while developing new bicycle routes has served to step up the numbers of tourists visiting the facilities. First and foremost, we were supposed to achieve transparency in the Skadivsk local authorities’ activities. In 2015 a technical expert opinion of the lighthouse condition was contracted, but the procedure was carried out with no involvement of the Monument Protection Society, which did not grant permission to dismantling. It became obvious that the local authorities were reluctant to attract “unwarranted attention” to the issue of lighthouse protection. 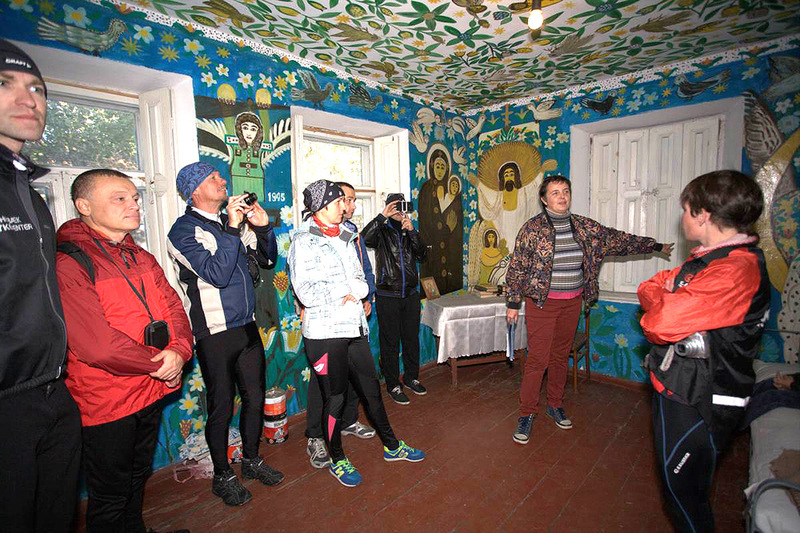 This is why, exactly with the goal in mind of attracting the attention of the public, authorities and mass media to the issue, a visit to the Isle of Jarylhach by a team of artists and Society experts was organised. The experts faced a task to evaluate the lighthouse condition, whereas the artists were to make illustrations to David Burliuk’s Sea Novel. This kind of activity could not be ignored by the local Skadivsk authorities. On the activist team visit date, the local authorities organised an action entitled Clean Lighthouse: made arrangements to ensure access to the island for volunteers, who collected and evacuated waste from the natural reserve territory, as well as initiated ways to address the waste problem in the future. 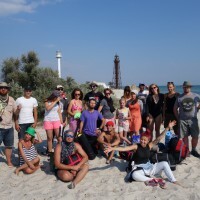 The TOTEM team was met at the lighthouse by the local news people and the Skadivsk administration representatives. 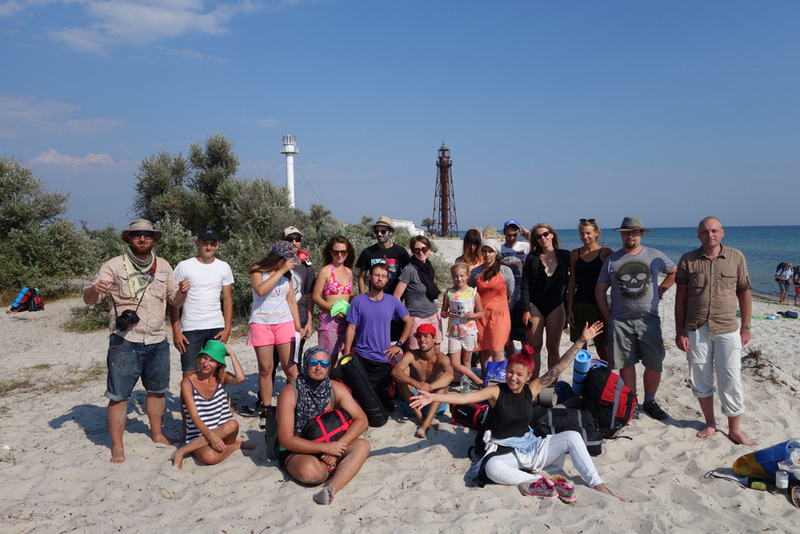 The first discussion with the project activists and experts of the Monument Protection Society was held right there at the lighthouse. 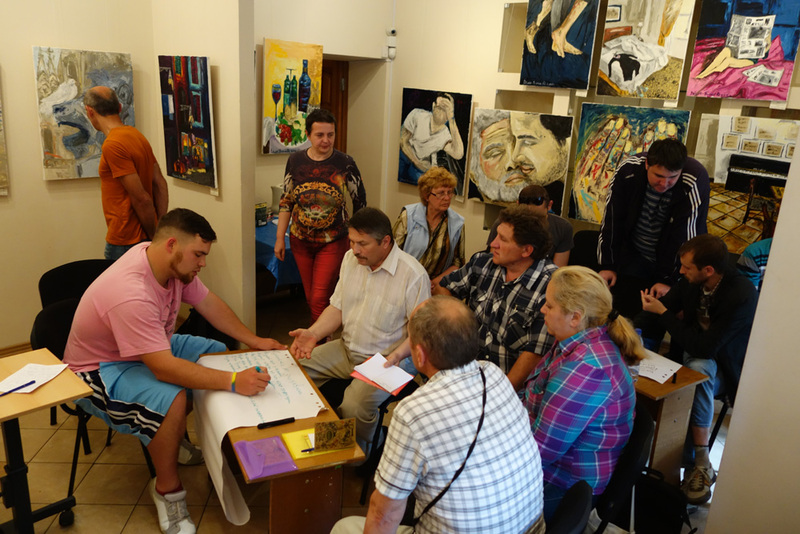 Thereafter, a special social media group was created from among the Skadivsk and Kherson activists, Monument Protection Society experts, representatives of the authorities and media people. The group has become a major communication tool, which has enabled transparency of the local authorities’ actions. As of today, we have received and placed on the group page the results of the lighthouse’s technical expert opinion; besides, ideas pertinent to its preservation are under debate. Apart from convincing to collaboration the local authorities, we were likewise to develop jointly with them a salvation strategy in respect of this one-off cultural heritage site. 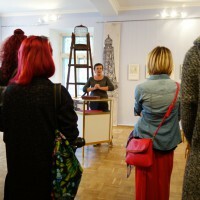 Following some futile attempts to find the house owners, we put for ourselves as our tasks to be completed lobbying the entry of Polina Raiko’s house on the cultural monument list, looking into the legal possibilities of transferring its ownership title to the government and creating a museum concept. 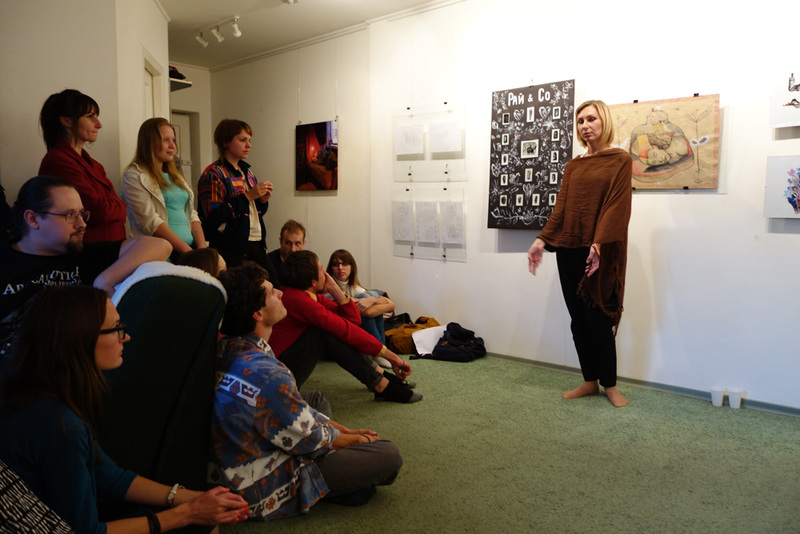 At the first stage, we had to energise the local community, and so we suggested that artists spend one night at Polina Raiko’s home and create their works. 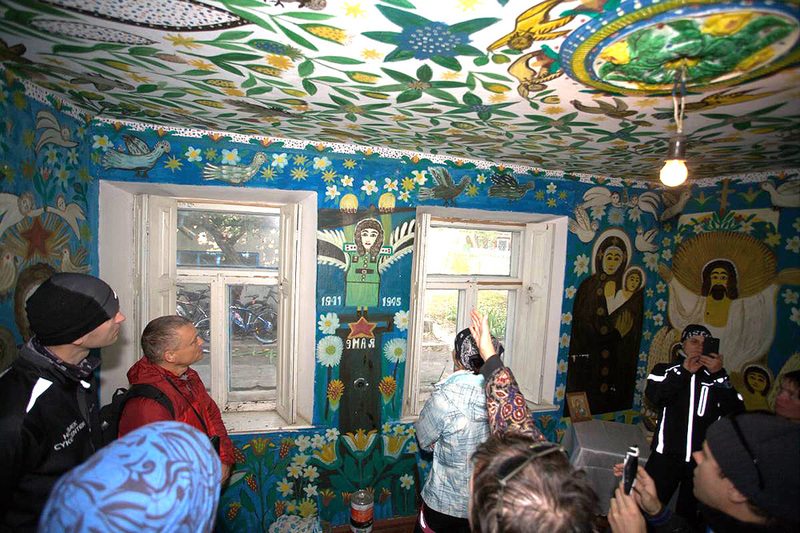 The exercise’s result was an exhibition named Polina Raiko’s Dreams, which has brought into focus the issue of house conservation, since all the authors made publications of their observations, noted the fact of the house and murals’ destruction and appealed to the public for the heritage preservation. 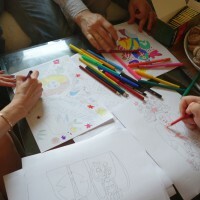 Our project has demonstrated a possible foundation in the house of a museum, as well as an art residence as a revitalisation tool: this is exactly the format which would enable making it “a living being” and filling it with creative activities. 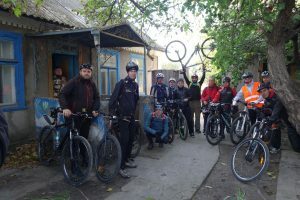 Besides, our project framework has been used by our partner organisation Kherson Bike Forum to develop and launch a bicycle route, which has also caused a lot of commotion among the travel business entities. 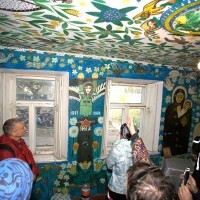 The issue of Polina Raiko’s house preservation has been covered by us in the local and national mass media. 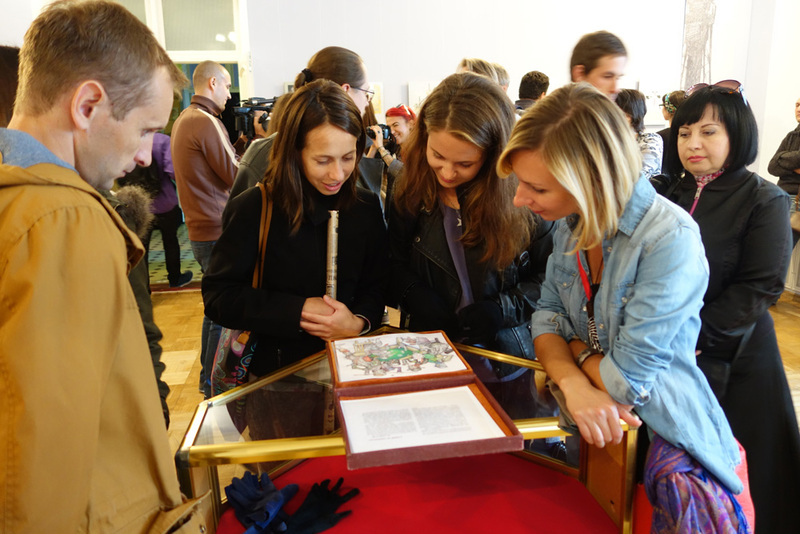 Following a series of journalistic stories brought by the central Ukrainian TV channels, the Directorate of Culture has agreed with our action plan to enter the house on the cultural monument register. Now we are getting ready a document package to be submitted to the Monument Protection Society. 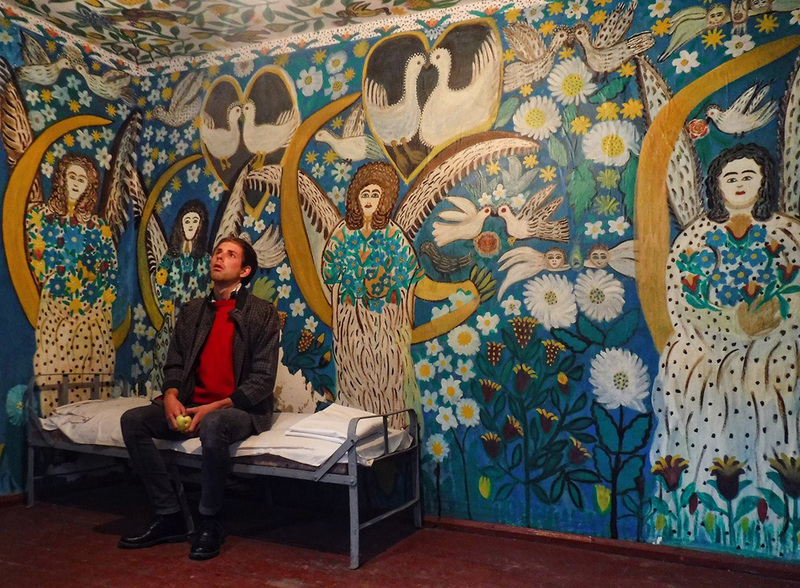 The activities undertaken have cropped in a situation, when in 2017 the regional budget has allocated to founding a Polina Raiko house museum UAH 650,000, and creation of Ukraine’s first naive art museum in the house has been entered on the action plan list of the 2017 Regional Culture and Spirituality Development Programme. 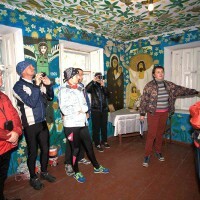 The strategy relevant to the conservation and protection of this unique facility of historic, cultural and architectural heritage has required the creation of a coalition of organisations and activists, since the issue of the Kakhovka hydroelectric power plant expansion has many aspects, including the economic one. 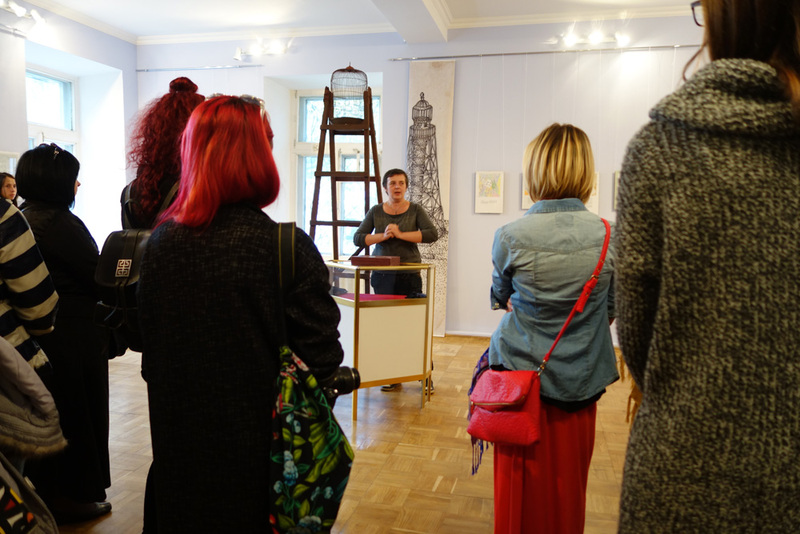 To begin with, we arranged a high-profile art event near the tower, which was attended by more than 30 authors and activists. We also sought support from the Trubetskoys’ farm winery, because the tower is situated on the farm land and is owned by it (the land, on which the tower stands, is owned by the power plant, while the tower itself is owned by the Trubetskoys’ farm. This is exactly the reason why the farm has failed to include the tower in its reconstruction plans). The Trubetskoys’ farm winery has granted its support to the festival and subsequently become our partner in our actions aimed at the tower protection and conservation. 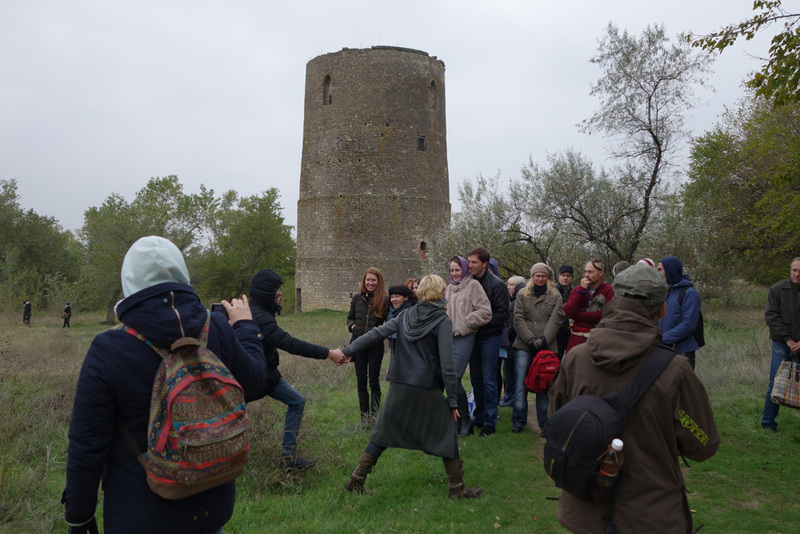 The festival has enabled collecting in one spot the like-minded people and dramatically demonstrated the Watchtower tourist potential, as well as informed the attendants on the threats and issues relevant to the tower preservation. Beside the power plant expansion plans, a serious challenge was presented by lack of the tower on the national monument register. However, due to the efforts exerted by the working team created, as soon as by December 2016 the Watchtower had been entered on the register as a local significance architectural monument, while later it was recommended by the Ministry of Culture for entry on the register with the status of a national significance monument, for which purpose an archaeological survey of the tower and its adjacent area is to be carried out in 2017, and a protection area and a construction work area will be determined. 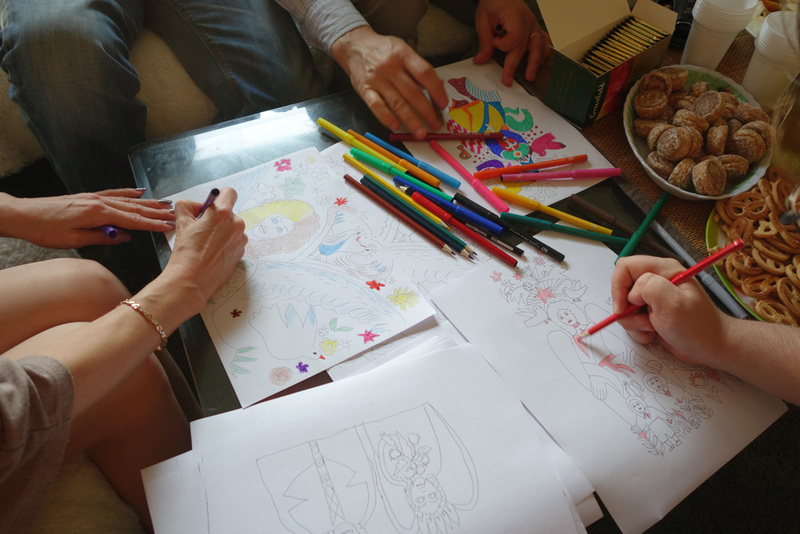 To inform public at large and to engage new allies or partners, our project framework has been used to draft and publish a brochure, which demonstrates the importance of the Watchtower for the history and culture of the two countries. 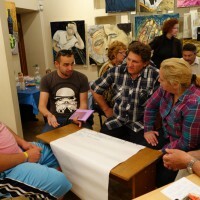 Before the archaeological survey rolls out, the project framework will allow providing the Watchtower with a protection plate; we shall also invite the Kherson artists to assist us in installing some “protection stones” carrying information and QR codes for demarcation of the protection area boundaries. Our key to success was in consolidation of the efforts exerted by the local activists, organisations and creative young people, who have rallied around our shared objective and idea of protecting the cultural, historic and architectural patrimony. An attractive atmosphere around the selected sites has drawn the attention of the authorities and media and served to put in place a situation, when all the stakeholders take part in the processes related to heritage facility conservation by deploying their own resources. Beyond any reasonable doubt, the project will be continued, as work on each one of the sites described will go on. We have redeemed three extremely valuable heritage facilities and put them again in the sphere of interest of the local public and authorities, and turned them into such an inalienable part of the cultural landscape, that the local communities and the authorities will never dare again to ignore their destruction or to be inactive. Moreover, the project has demonstrated that there are no “missions impossible” in the domain of historic and cultural heritage preservation, whereas the accumulated experience will be used by our partners and us for the development and implementation of campaigns linked to conservation of other tangible and intangible culture monuments.